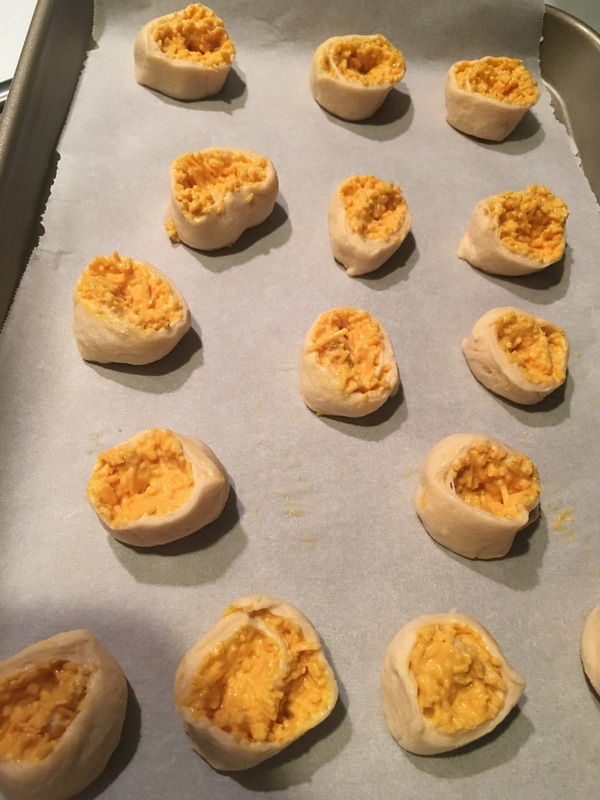 Spicy cheese roll spirals – Hurried Home Chef! Need a easy app to take to the Super Bowl party? This is simple and quick. 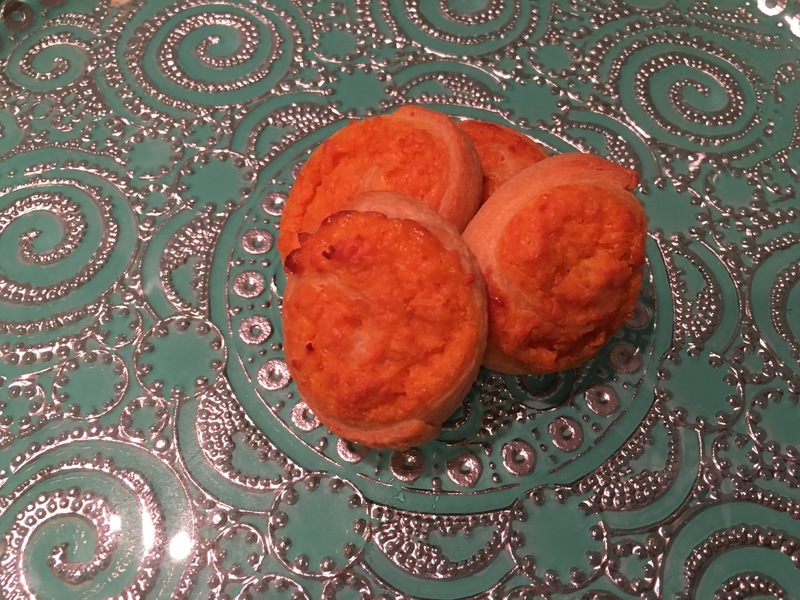 A West Indian favorite–cheese rolls! Normally these are made for big parties or a wedding. Since there is a pastry making component, it takes awhile. For me, sometimes I just want the flavor without all the drama, so I do use a shortcut. 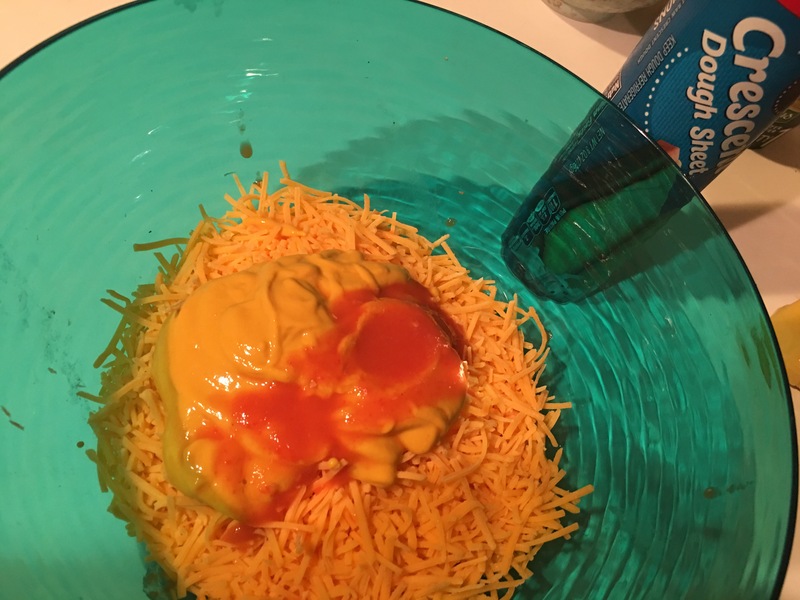 I get the already shredded cheddar, yellow mustard, and hot pepper sauce (another post I’m working on). I use about 1.5 cups to a good 3 tbsp of mustard and heat to your taste. Mix and make a spreadable paste, use milk if too dry. I used a crescent dough, but it is slightly sweet, maybtry pizza dough next. 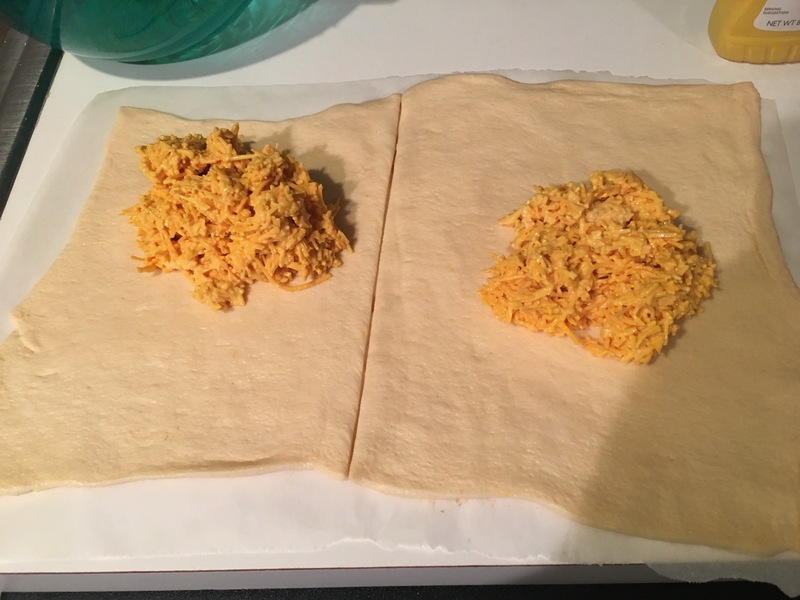 Rolled it out and split in half. Make a log and slice. 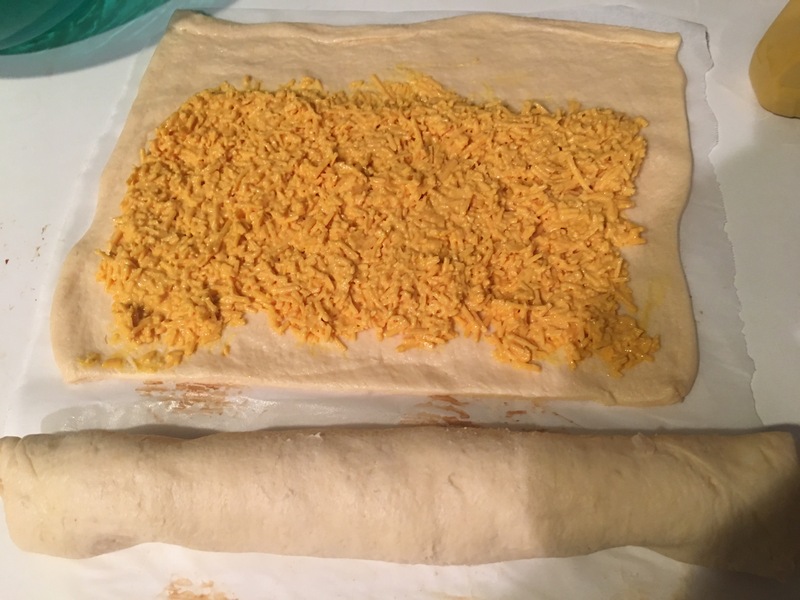 You can make this ahead and cut –then freeze, or just refrigerate until ready to bake. Bake and serve right away. These are best when hot! You can get fancy and garnish with parsley if you want. Bake until a little toasty! Then just arrange on a fancy plate. 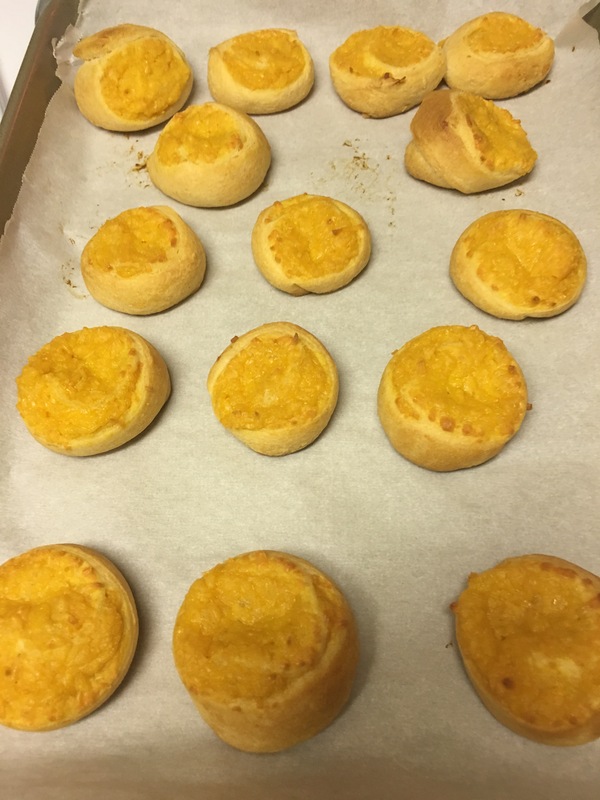 If you want to make the pastry, see the ‘beef patties’ post for that. Previous Post Saturday night steak dinner! Next Post Calling all 80’s kids… make Salisbury steak tonight!